Posted on November 16, 2014 by Mrs P.
I’ll be heading to Reykjavik next week for Iceland Noir 2014. To say I’m a little excited is something of an understatement. 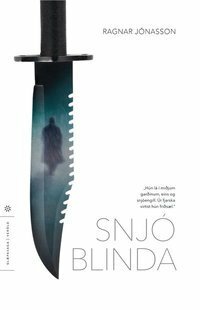 My reading on the plane out will be Ragnar Jónasson’s novel Snjóblinda (Snowblind, 2010), the first in his ‘Dark Iceland’ series. Here’s a brief description: >> Winter in a small, isolated fishing town in the northernmost part of Iceland, only accessible via a small mountain tunnel. A young woman is found lying in the snow, bleeding and unconscious. An old writer falls to his death in the local theatre. A young police officer, new in town, must distinguish between truth and lies, while uncovering hidden crimes of the past, in a community where he can trust no-one, before the constant snowstorms and the twenty four hour darkness push him over the edge. << I’ll be tucking into the German translation, but am pleased to hear that the novel will be published in English translation by Orenda Press in 2015. 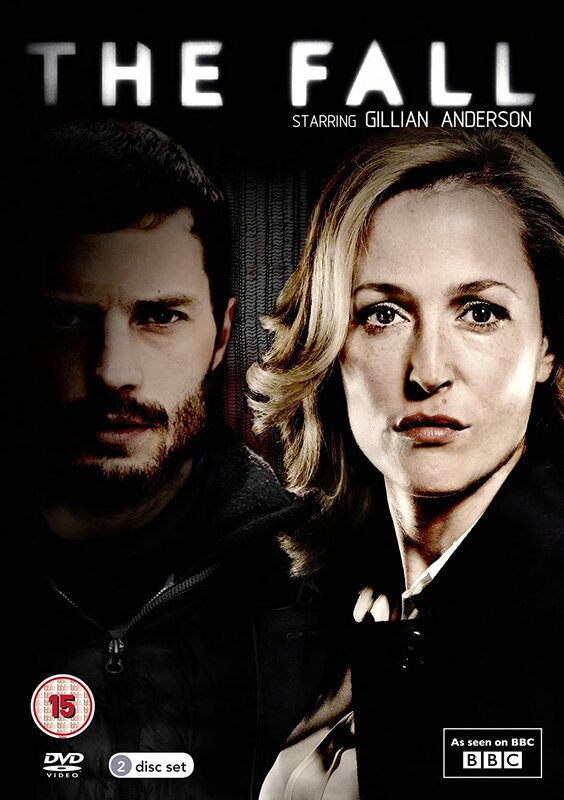 Online chatter has alerted me to the start of the second series of BBC1’s The Fall, which features Gillian Anderson as police superintendent Stella Gibson on the trail of Belfast serial killer Paul Spector. I’ve not seen any of this crime drama as yet. The Northern Ireland setting and the female lead have definitely piqued my interest, but the focus on the serial killer, and his depiction as mild-mannered family man by day and murderer of women by night, has rather put me off, as has the view of critics such as Rachel Cooke. My neighbour Ernie (who’s not at all keen on the serial-killer angle either) considers it a well-made drama with depth, so now I’m in two minds again. Have any of you watched it? Would you recommend viewing it or not? Posted on January 10, 2013 by Mrs P.
Opening line: “You don’t look like a Jew,” Helmut Krauss said to the man reflected in the window pane. Stuart Neville should receive a little prize for featuring in both my last review of 2012 and my first of 2013. My reading plan originally looked somewhat different, but in the end I couldn’t resist picking up Ratlines, as there was so much buzz about it online. Neville is one of those authors who wades into controversial waters on a regular basis. His first novel, The Twelve, explored the legacy of The Troubles from the perspective of a former paramilitary hitman, while his fourth, Ratlines, highlights Ireland’s inglorious role in offering asylum to over a hundred former National Socialists and collaborators following the Second World War, including senior SS-member Otto Skorzeny and Breton nationalist leader Célestin Lainé. With supreme irony, the novel shows Justice Minister Charles Haughey hobnobbing with Skorzeny, who helps other former Nazis evade justice via ‘ratlines’ – routes of escape to safe territory – at around the same historical moment that war criminals such as Eichmann are on trial (Israel, 1961) and West Germany is confronting the Nazi past via the Auschwitz trials (Frankfurt, 1963-65). When Neville kindly talked to me about the novel at the Harrogate Crime Writing festival, he explained that he was prompted to write on the subject by Cathal O’Shannon’s 2007 documentary Ireland’s Nazis, and elaborated as follows: ‘The more I dug into it, the more fascinating it became – the machinations of how those people got there, and why they were allowed to be there; and then the conflicts within the government itself, because the Department of Justice was notoriously anti-Semitic, but the Department of External Affairs was a lot more liberal, and there was a constant battle between these two parts of government about whether these people should be in Ireland or not’. I loved the initial scenario presented in the novel. Former Nazis living in Ireland are being bumped off, and the government wants to stop the killings in order to avoid a scandal ahead of President Kennedy’s state visit in 1963. Lieutenant Albert Ryan, a member of the elite G2 (Directorate of Intelligence), is charged with tracking down the killer, but feels conflicted, as he fought with the British against the Nazis during the war, and is uneasy about the support he sees being given to his former enemies by the state. Ryan’s position allows Neville to outline a complex set of historical, political and moral dynamics: Ireland’s decision to remain neutral during the war (dubbed ‘The Emergency’); the postwar suspicion of the Irish who opted to fight ‘for’ the hated British colonisers; and the ways in which nationalism created a bridge between the Nazis and groups such as the IRA. I knew very little about these aspects of Irish history before reading the novel, and thoroughly appreciated the way in which they were illuminated – with an admirably light touch – in the first half of the narrative. I was slightly less enamoured by the way the plot played out in the second half. To be fair, I think this has more to do with my own reading experiences than the book. ‘Nazi-themed’ crime novels are a key focus of my research as an academic, and I’ve read over 150 of them in the last five years (yes, really – see this list). There’s therefore very little that an author writing on this subject-matter could do to surprise me in terms of plot twists. Rest assured that there are plenty to be had as the novel develops … as well as some eye-watering violence in line with Neville’s earlier Belfast noir. You can hear Stuart Neville chatting to Mark Lawson about Ratlines on Radio 4’s Front Row from 3rd January 2013. There’s another, little-known crime novel by John Kelly, written in the 1968 but only published in 1993, which also touches on the subject of collaborators hiding in Ireland – The Polling of the Dead (Moytura Press). Kelly was a lawyer and politician, which may account for the posthmumous publication of the novel, and he casts a cool satirical eye over the post-war political landscape of late 1960s Dublin. Probably the most famous novel about the postwar ‘ratlines’ is Frederick Forsyth’s 1972 The ODESSA File, which was adapted for film in 1974 with John Voight and Maximilian Schell in the leading roles. Along with Ira Levin’s The Boys from Brazil (1976), this hugely successful crime novel/thriller used its narrative to communicate extensive historical information about National Socialism and the Holocaust to a mass readership. With thanks to Soho Press for providing me with a review copy of the novel. Mrs. Peabody awards Ratlines a taut and intriguing 4 stars. What’s your first crime novel of 2013? Posted on January 3, 2013 by Mrs P.
For some reason, I always take particular care when choosing my first crime novel of the new year. I like it to be a good one, and one that’s perhaps a little different to crime novels that I’ve read recently. This year I opted for a classic that I’ve been meaning to read for the longest time and was lucky enough to find under the Christmas tree: Patricia Highsmith’s The Talented Mr. Ripley. Originally published in 1955, it’s still brilliant and chilling in equal measure. 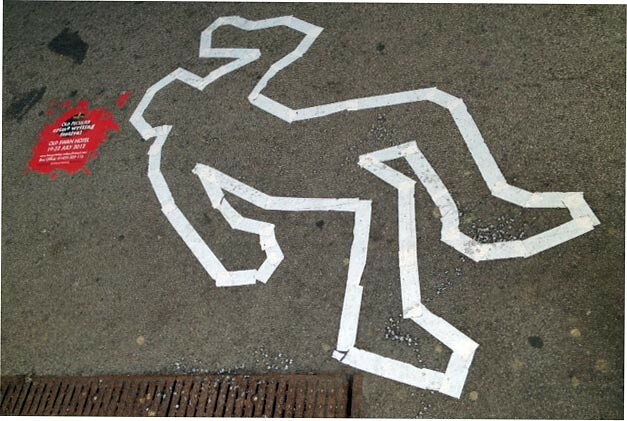 Just for fun, I asked some crime aficionados on Twitter for their first crime novel of the year. Please do feel free to add your own below in the comments. It’ll be interesting to see what kinds of patterns emerge, if any. Posted on December 30, 2012 by Mrs P.
It’s been a busy year for Mrs. Peabody Investigates, with reviews of international crime fiction from Denmark, Finland, Germany, Italy, Northern Ireland, South Africa, Sweden, Switzerland and the USA. There were also a number of lively discussions on subjects including autopsy scenes; violence and women; Jewish detective figures; national image; strong female protagonists, and the crime writer as social commentator. Many thanks to everyone who joined in with their expertise and views! Last but not least, interviewing crime writers at the Harrogate Crime Writing Festival and contributing to Mark Lawson’s ‘Foreign Bodies’ series on Radio 4 were definite highlights. So to finish off the year, here’s a random round-up of the best – and worst – of Mrs Peabody’s 2012 (with thanks to apuffofjack for the idea). Most Satisfying Read: Tom Franklin’s Crooked Letter, Crooked Letter (2010), a gripping examination of the repercussions of a murder, set in the American Deep South of the 1970s, 1980s, and the present day. Most Disappointing Read: Jussi Adler-Olsen’s Disgrace.Wooden characterisation was the real villain of this crime novel, but I’m still hoping for better from the next in the Department Q series. 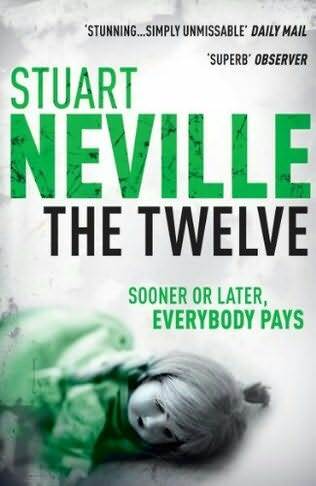 Best Historical Crime Novel: Tie between Malla Nunn’s A Beautiful Place to Die (2010), which provides a fascinating insight into apartheid South Africa in the 1950s, and Stuart Neville’s The Twelve (2010) – hard-hitting Belfast noir exploring the legacy of The Troubles. Crime Novel that Lingered Longest in the Mind: Jim Thompson’s The Killer Inside Me (1952), which presents a chilling, but surprisingly nuanced portrait of murderer Lou Ford. 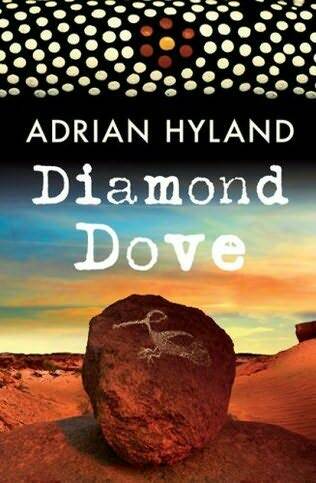 Best Female Detective: Tie between Edie Kiglatuk from M.J. McGrath’s White Heat (2011) and Emily Tempest from Adrian Hyland’s Diamond Dove (2006) (reviews pending). In many ways, these characters are twins: feisty, tough women who have complex insider / outsider roles in marginalised indiginous communities (the Inuit of the Arctic Circle and the Aboriginal people of the Australian outback). Best Male Detective: Finnish-Jewish police inspector Ariel Kafka in Harri Nykänen’s Nights of Awe (2010): a highly original and witty investigator, whom I look forward to meeting again (albeit with a slightly less convoluted plot). Best Discovery: Leif G.W. Persson is well-known in his native country as a top criminologist and crime writer, but his razor-sharp dissections of Swedish society have only started to be translated relatively recently. I’ve just finished Another Time, Another Life (2012), which was a gem, and am keen to read more. 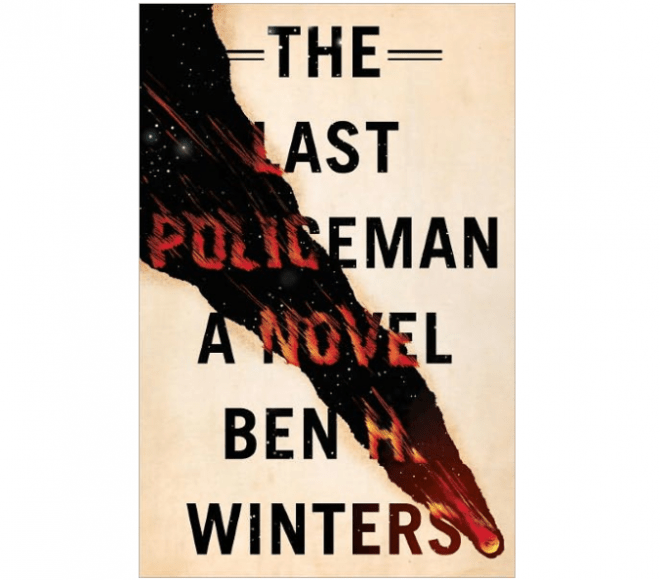 Most Original Premise: Ben Winters’ The Last Policeman (2012) is a ‘pre-apocalypse police procedural’, in which Detective Hank Palace investigates a suspicious suicide six months before asteroid 2011GV1 is due to hit the earth. The first in a trilogy (review pending). Best Re-read: Jakob Arjouni’s Turkish-German Kemal Kayankaya series (1985-2012). A ground-breaking detective who uses intelligence and wit to make his way in a largely racist society. The first in the series, Happy Birthday, Turk (1985), remains a cracker. Best Use of Humour: Leif G.W. Persson uses satirical humour to great effect as he lifts the lid on the workings of Swedish society. Look out for the pathologist nicknamed ‘Esprit de Corpse’ in Another Time, Another Life. Best crime TV series: The Killing III, in which Sarah Lund strode forth for the last time (still in denial that it’s over *sob*). Best crime film: Tie between Romanzo Criminale (dir. Michele Placido, 2006), which traces the rise and fall of an Italian street gang, and Once Upon a Time in Anatolia (dir. 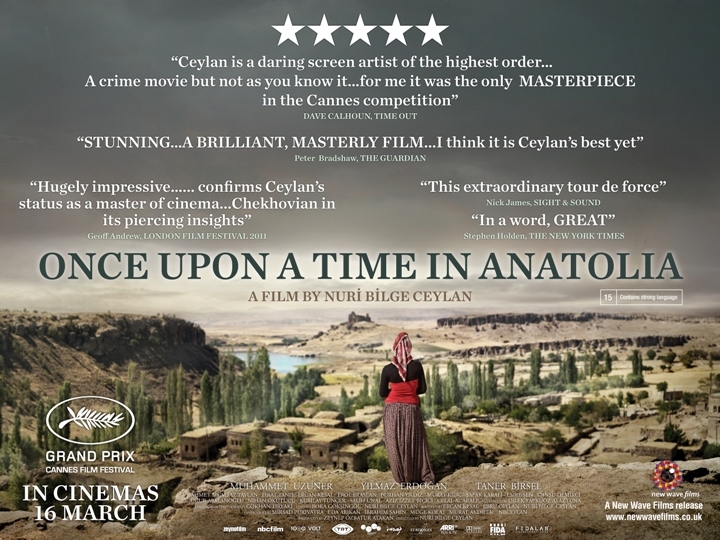 Nuri Bilge Ceylan, 2011), which plays out over a dream-like night of a police investigation (reviews to follow). Most Anticipated Reads for 2013: Stuart Neville’s Ratlines (2013), set in a 1960s Ireland whose government is keen to play down its links with former Nazis, and Y.A. Erskine’s The Brotherhood (2011), a much-praised depiction of police corruption and betrayal set in Tasmania. All best wishes for a healthy and happy New Year, filled with lots of wonderful crime fiction. Posted on December 7, 2012 by Mrs P.
Opening line: Maybe if he had one more drink they’d leave him alone. I read the first two chapters of The Twelve late one night at the Harrogate crime festival, and was immediately hooked. An extremely well-written blend of hard-hitting noir and ghost story, it tackles the controversial subject of The Troubles in Northern Ireland in a highly original and effective way. The novel is set in 2007, around the time of the St. Andrew’s Agreement. Its central protagonist is Gerry Fegan, a former paramilitary hitman, who has been haunted nightly since his release from prison by the ghosts of the twelve people he murdered. When the ghosts demand that he exact eye-for-an-eye justice on their behalf, by executing various individuals complicit in their deaths, Gerry agrees, on the condition that they’ll leave him alone once he’s done. However, he also has to deal with the fallout of his actions in a fragile post-conflict Belfast. Gerry’s ghosts consist of three British soldiers, two soldiers from the Ulster Defence Regiment, a Royal Ulster Constabulary policeman, two Ulster Freedom Fighter Loyalists, as well as four civilians – a shopkeeper, a teenager, and a woman and her baby. The way they haunt him (a trope with a rich pedigree in the work of Emily Brontë, Charles Dickens, Henry James, Toni Morrison and Stephen King, amongst others), allows the author to examine the history and violence of The Troubles to devastating effect, and to explore larger themes of guilt, justice and responsibility in the post-conflict era. There is a particularly ingenious openness built into the ghostly figures and how we understand them as readers. We can either choose to accept that they’re a genuine supernatural happening, or alternatively, as Gerry’s psychologist argues, that they are a ‘manifestation’ of his guilt. If, on the other hand, we view the ghosts as the creation of Gerry’s fevered imagination, they can be seen as the embodiment of his guilt, but also as the means by which he sidesteps that guilt. Instead of fully accepting moral responsibility, he uses the ghosts to hold those who were above him in the chain of command accountable for his own crimes (the classic ‘I was following a superior’s orders’ defence). So the ghosts point up the price paid for sacrificing justice as part of the peace settlement (the ghouls are a vicious ‘return of the repressed’), while also delivering a complex portrait of a perpetrator’s struggle to cope with his guilt. Very clever indeed. The key question for me throughout the narrative was how the author was going to square the circle of Gerry’s own guilt, given the latter’s ultra-violent past and present (he was and is a murderer, no matter how you spin the motivation for his actions). I’m not *quite* sure that the narrative’s moral logic was wholly sustained at the end (I won’t say more for fear of spoilers). But given the complexities of the subject-matter, I think the novel does an admirable job of maintaining a balanced point of view: barely anyone – be they Catholic, Protestant, Northern Irish, British or other – comes out of this story morally intact. Crucially, the narrative’s emotionally ‘cool’ tone ensures that readers are not tempted to empathise with Gerry in such a way as to excuse his crimes or moral failings. Given the assurance with which the narrative is written, it’s hard to believe that this was the author’s publishing debut. I haven’t been this impressed by a first novel since reading Sam Hawken’s The Dead Women of Juárez. You can read the first two chapters of The Twelve here. There are also a number of ‘deleted scenes’ from the novel available on Stuart Neville’s website, which are worth a read after you’ve finished the novel. The Twelve (titled The Ghosts of Belfast in the US), is the first of a three-part series. The others are Collusion and Stolen Souls. Mrs. Peabody awards The Twelve a hard-hitting and memorable 4.5 stars. 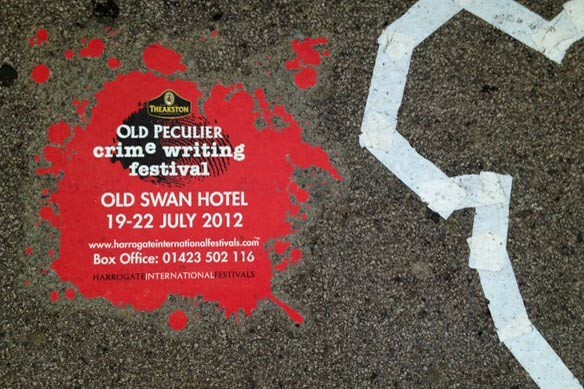 Posted on July 23, 2012 by Mrs P.
I’m just back from four days at the Theakstons Old Peculier Crime Writing Festival, which, as ever, was a wonderful mixture of interviews, panel discussions and a crime-writing knees-up. Our first evening was very special: we saw Colin Dexter, creator of the Inspector Morse series, honoured with the Outstanding Contribution to Crime Fiction award, and ‘tartan noir’ writer Denise Mina win the Crime Novel of the Year Award for her ‘hugely atmospheric and haunting book’, The End of the Wasp Season. As ever, there were a bewildering number of fascinating and (in some cases controversial) sessions to attend over the following three days. Karen from Euro Crime was spotted quietly tapping away on her laptop in the audience, and her notes on a variety of events, including ‘America’s Got Talent’, ‘Writing for Your Life’, ‘Drawing the Line’, ‘Crime in Another Dimension’, and the John Connolly interview are available here. Many thanks, Karen! This lucky blogger was given the chance to interview four outstanding crime writers –Arne Dahl (Sweden), Camilla Läckberg (Sweden), Stuart Neville (Northern Ireland) and Jason Webster (UK/Spain) – and also had interesting chats with authors Liza Marklund (Sweden), Margie Orford (South Africa) and Antonio Hill (Spain). Norwegian publishing sensation Jo Nesbø‘s wide-ranging discussion with Mark Lawson completed a very satisfying festival that showcased the best of international crime fiction. I’ll shortly be posting a series of ‘Theakston Files’ (a nod there to one of my favourite TV detectives), with interview transcripts and notes from the Nesbø session. Hope you enjoy!